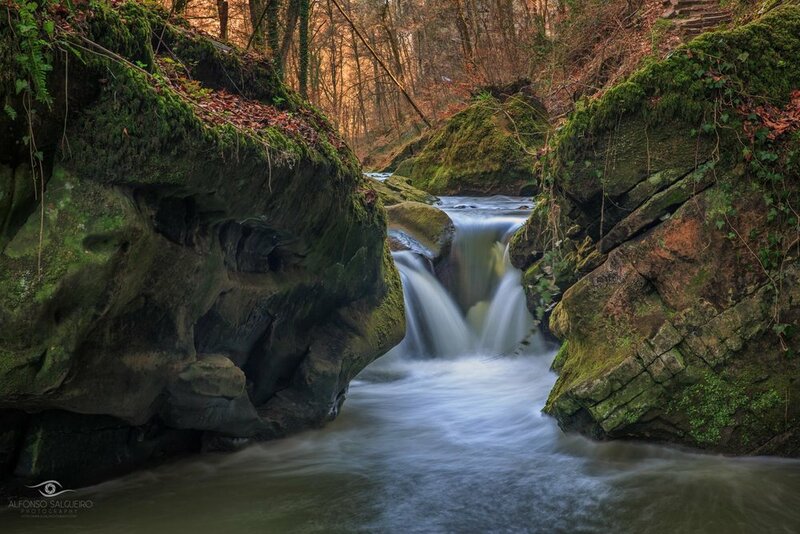 After the torrential rains that have brought havoc to some areas of the Mullerthal Region in Luxembourg, we have decided to change our next workshop location due to safety concerns. 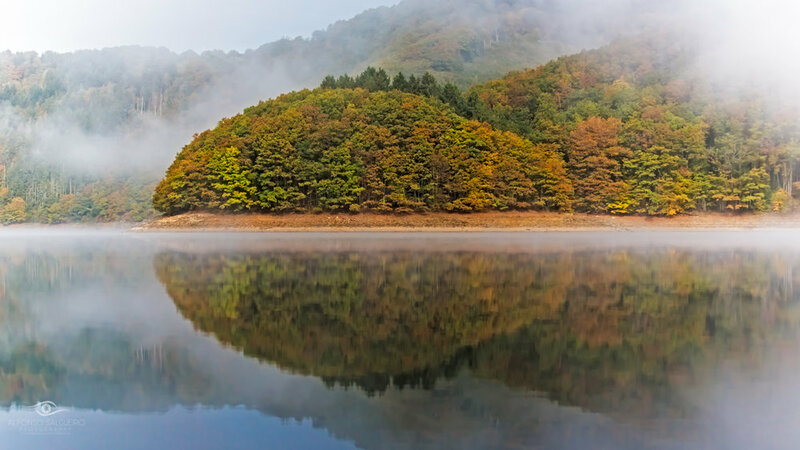 The Upper Sûre lake, in the Luxembourg Ardennes region, offers some amazing landscapes. Friend and fellow photographer Christophe Van Biesen and me will bring you to explore the area and help you learn and/or improve your photography skills. If you are interested you can subscribe by following this link here, where you can also get some more detailed information about ourselves and the practicalities of the workshop. After the success of our workshop in the magical forest of Hallerbos and the beautiful Upper-Sûre lake in Luxemlburg we are again pooling our expertise. 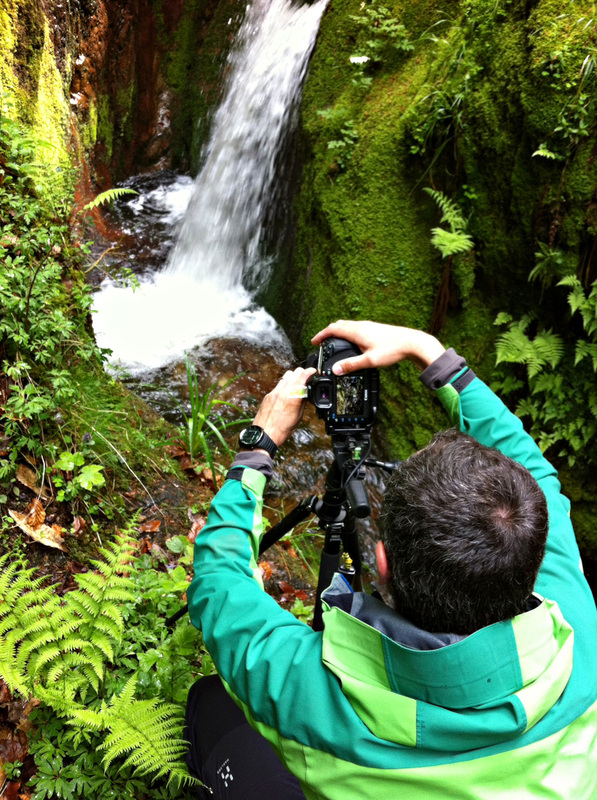 You will be able to learn by hands on practical advice from two experienced photographers. Between us we have countless hours of experience in hiking and photographing in many parts of the world. I am really excited to announce that I am organising a photography workshop in the magical forest of Hallerbos in collaboration with fellow photographer Christophe Van Biesen. By pooling our expertise you will be able to learn by hands on practical advice from two experienced photographers. Between us we have countless hours of experience in hiking and photographing in many parts of the world. We decided to join forces and take a small group of people to one of the main natural wonders of Europe, the magical forest of Hallerbos. If you are interested you can already subscribe to the Hallerbos workshop by clicking in the image bellow or by following this link here where you can also get some more detailed information about ourselves and the practicalities of the workshop. Photography Workshops in collaboration with fellow photographer Christophe Van Biesen. For those interested in learning and/or improving their photography skills, I offer one-to-one and group workshops on general photographic knowledge as well as in my areas of specialization, landscapes, architecture, performing arts, environmental portraits and events. All workshops take place in and around Luxembourg and are directed at beginners and intermediate photographers who would like to know and try the best available techniques and tools to produce high quality images. The workshops are conducted in EN, FR and ES. I also provide photo editing workshops based on my workflow with Lightroom, the widest used software. Photo editing has become an essential part of modern photography and knowing how to digitally develop your images so you can get the best out of them is an invaluable asset. Ideally you would need a camera that offers different modes other than full Auto, a tripod, wear appropriate clothing for the weather and type of walk and bring a note pad to jot down useful concepts. Please use the contact form to submit any inquire or subsbribe to my Newsletter. Thank you. Mafalda: 1-2-1 photography basics workshop - not only did we discover diverse interesting features of my camera, as Alfonso has an immense patience and calm when explaining and teaching. I appreciated the availability to share tips and tricks as well as the knowledge he passed on to me. I will definitely come back for a follow-up workshop and would without hesitation recommend Alfonso's work. Thank you!!! Dorte - The workshop with Alfonso was perfect. He is very patient and detailed, when he is teaching. He wants to make sure that each student understands the technique. The trip to Esch-sur-Sure was beautiful, and we explored some new areas for great photography. Thank you! Orit - Dear Alfonso, the workshop was excellent and very interesting. Your pictures are so amazing and it was a pleasure to learn from you the process and tecniques to be used. I will be glad to repeat the experience. With your huge knowledge, you explained us with a lot of patient how to take beautiful pictures. Many thanks! Creative Elena on my workshop "Alfonso Salgueiro is a truly talented, professional landscape photographer. 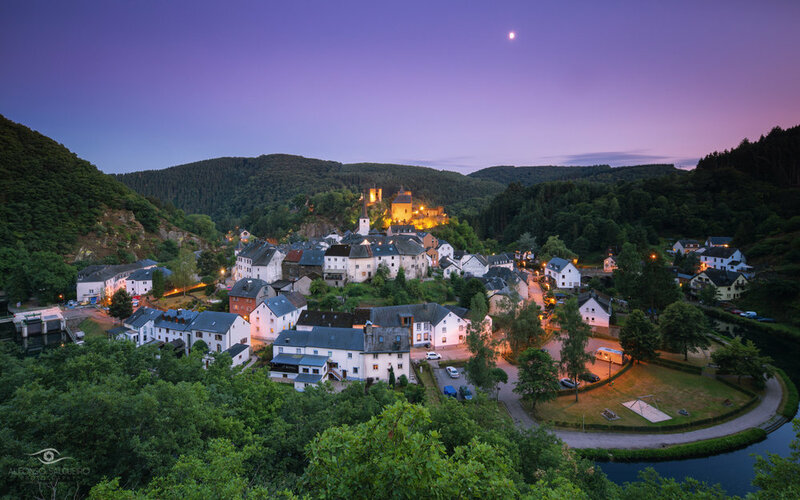 His calm nature is reflected in the fascinating beauty of the Luxembourg Ardennes." 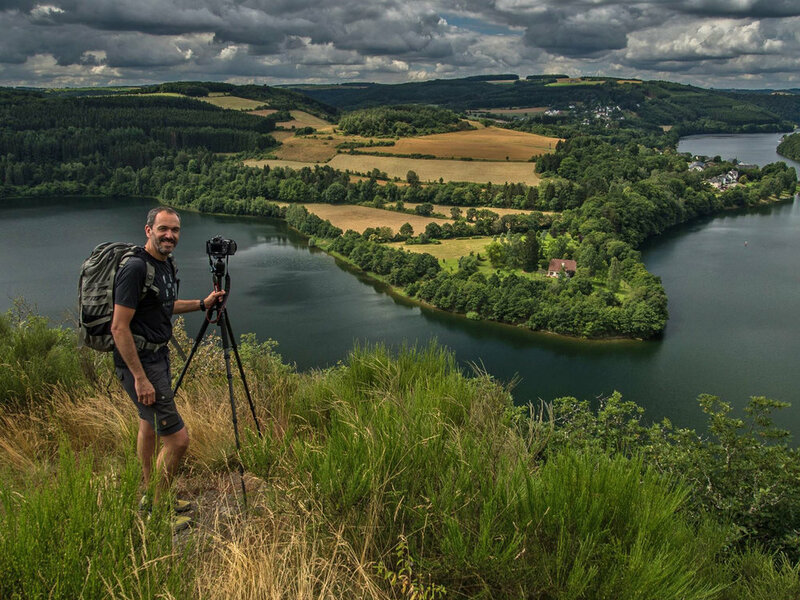 Didier - "As a total photography beginner I needed some basic practical advice on what to do with my camera in order to take good landscape pics. Alfonso not only showed me two extraordinary spots near Esch-sur-Sûre, but also gave me some very useful tips. I really recommend these workshops with Alfonso. Mine was the first I took, but most probably not the last one." Denise - "Alfonso, I really enjoyed your workshop and I have much pleasure with my new camera. Knowing now the basics of theory, thanks to you, I discover each day new possibilities of this marvelous instrument. Why did I wait so long to buy an intelligent camera which helps me take good pictures while letting me free to take my own decisions? I took a picture today of a lizard and I never thought I would be quick enough not using Auto Mode and control the focal length, the aperture, the shutter speed, the framing. I was so excited!" Anne - "Thank you Alfonso for the great workshop yesterday, I've learned a lot - also that there is no reason to be afraid of the manual mode of the camera, and that the results are immediately there after only a few settings. OK, maybe it'll take a bit of time at the beginning but it is definetely worth it! Thank you for your patience and the very instructive way you explained the different options and answered our questions. Looking forward to experimenting now during the holidays"
Jean-Pierre - "Thanks Alfonso for the very useful workshop we had in Clervaux"
Willy - "Hallo Alfonso. I really did enjoyed the workshop yesterday. I did learn important things about my Canon camera. On a next workshop I will be there for sure. Today I had to take photos of a horse jumping competition and the AI Servo tip you gave us did help me very much; which I did learn only yesterday. Thank you very much." Liviu - "Dear Alfonso, thank you for the info handout and for the overall nice and highly informative session. Should other people be interested, be sure I will recommend you. Best regards."